On the 8th of October 2017, Liverpool Homeless FC celebrated their 10th anniversary with a huge northwest derby match. 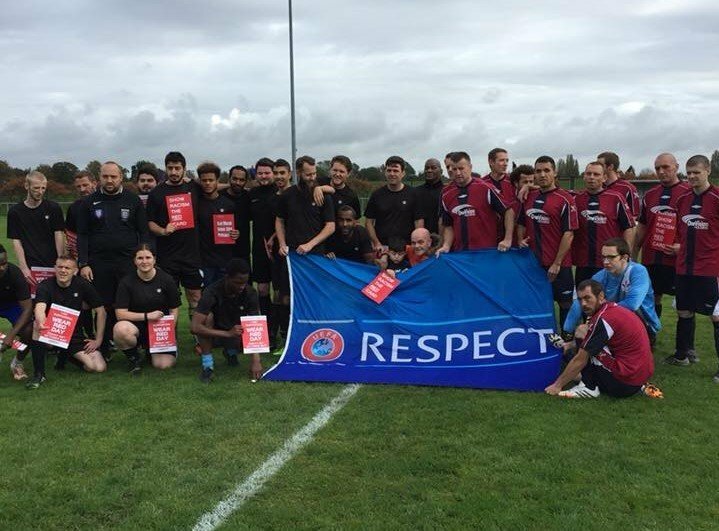 It was a football match with a difference, as LHFC took on Manchester’s Equality FC at Walton Hall Park. The game was arranged to bring the two cities together and acted as a platform to showcase that both Liverpool Homeless FC and Equality FC continue to achieve in their communities, by using football as an opportunity to have a positive effect on homeless people's lives. Both metro mayors from Merseyside Steve Rotheram and Manchester’s Andy Burnham pulled on their kits, laced up their boots and represented their respective city. LHFC Ambassador Gary Skynner provided the live commentary and added to the sense of fun and camaraderie. The game was played in a friendly manner and both teams demonstrated great pride and passion in representing their city. Both Mayor’s managed to get on the score sheet. Steve Rotheram scored the first goal of the match to put the Liverpool team ahead while Andy Burnham managed to clinch a goal back for the visitors. Liverpool proved to be too strong for the Manchester team and dominated the second half, winning the game 8-3. Equality FC's skipper, James was named 'Man of the Match.